Back when I was 11 years old, I read Khaled Hosseini's best-selling novel The Kite Runner. I'll be honest; I didn't really understand it. Maybe it was my age that meant that I didn't quite get all the emotion and the story line. I put the book away, and never thought about reading it again. Until now. 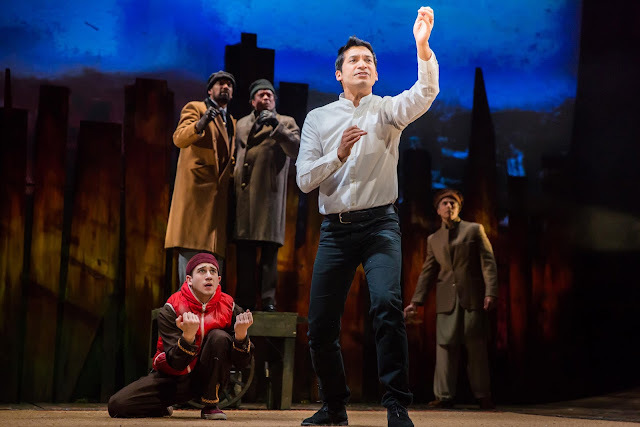 The Kite Runner, now on stage at Birmingham's REP Theatre until March 24th, will make you go straight to your local bookshop and read it all over again. It is THAT good. 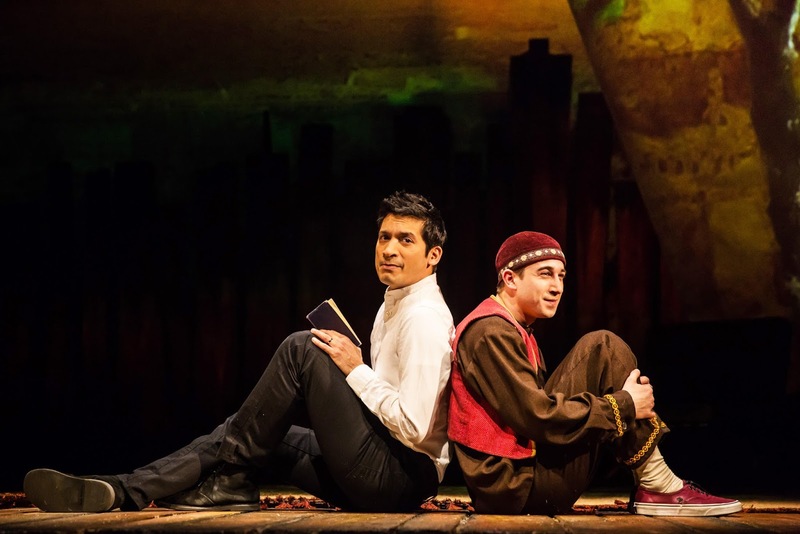 Direct from the West End, The Kite Runner, adapted by Matthew Spangler, follows the friendship of Amir and Hassan. Set in the 1970s in Afghanistan - a country that was going through social and political changes. 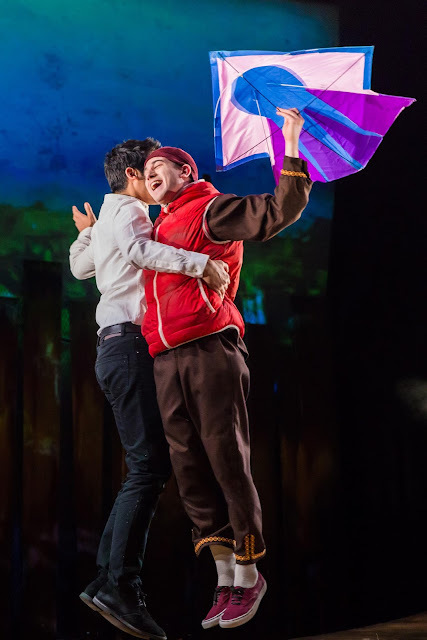 Despite Amir and Hassan being from different class backgrounds, they are the best of friends and become Kite Runner legends when they win the annual competition one winter. However, the country is on the verge of war and the two friends face being torn apart. Following the excitement of the kite flying tournament, a terrible incident happens that will totally shatter their friendship and change their lives forever. The story follows Amir's journey to face his past and find redemption. The stage is set long before the production begins thanks to Hanif Khan's captivating tabla drumming that he continues to do throughout the whole show. It brings an extra element to every scene and is hugely enjoyable to watch. The set itself is incredibly simple - but it is brilliant. I have said before that I think one of the aspects that makes a show so good is being able to transform to a handful of places without even needing to change the stage. The audience is taken from Afghanistan, to Pakistan and then right over to San Francisco where we follow Amir become a man, meet the love of his life and say goodbye to his Baba. In fact, every aspect of the production is incredibly clever and the show does theatre in a whole new way, which is what makes it such a captivating watch. The Kite Runner successfully makes you feel every emotion possible. From the moment the production begins, it is impossible to take your eyes off the stage as every single moment is mesmerising, with members of the audience on the edge of their seat for the whole show. I would go as far to say that it is by far the most intense show I have ever seen on stage, as it is impossible to not totally immerse yourself into the story and you can't help become very attached to the characters on stage. But of course, it is the huge array of talent that really makes the show. Soroosh Lavasini, who takes on the role of Assef, by far the most evil character I have ever seen in theatre, completely owned the stage. It is an incredibly difficult role to take on, and a deep understanding of the character is needed, but Soroosh did an fantastic job doing so. Other character highlights were from Gary Pillai, who played Amir's father, whose portrayal of the man with so much love yet no heart, was absolutely brilliant, as was Jo Ben Ayed's take on the role of Hassan. Raj Ghatak, who played main character Amir, completely made the role his own. His emotion was totally believable and he constant adjustments from past to present deserved their own standing ovation; it was truly wonderful to watch. My only hesitations with the production is that if you hadn't have read the book before, it could be easy to get lost in the story. However, with a bit more concentration than what is normally needed for a theatre production, it does make for one hell of a show. The Kite Runner is not for the faint hearted; it is raw, incredibly dramatic and does not hold back on reality. It is unlike any other show I have ever watched, and it is in no way a production you will forget about any time soon. However, it is completely worth the heartbreaking and downright shocking moments. This show really manages to bring the pages of the book to life on stage, and it is a total pleasure to watch. 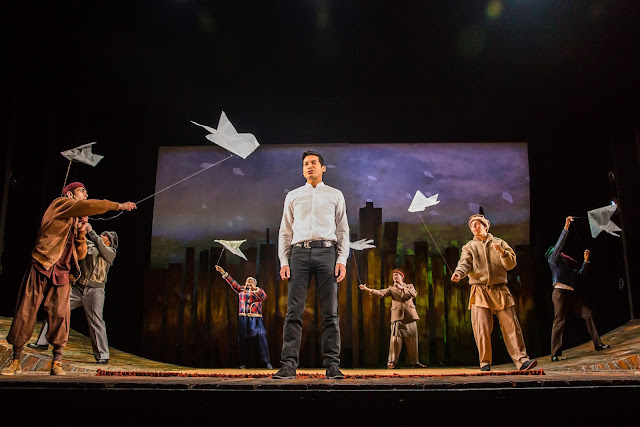 The Kite Runner is theatre on a whole new scale. Don't miss it - it's on stage until March 24, 2018.